Aircraft force landed gear up in a field. 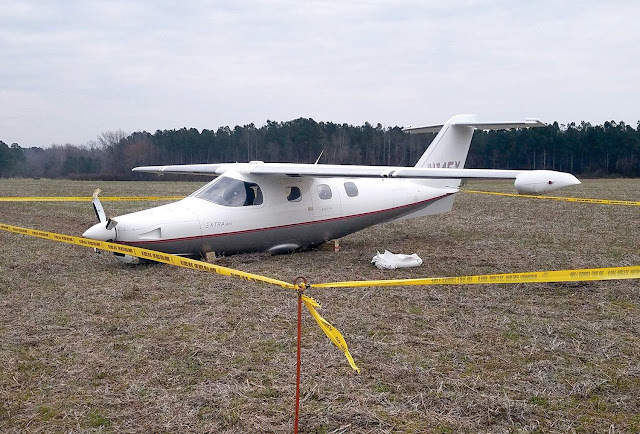 SHARPSBURG — A pilot came out unscathed after his single-engine plane crash-landed in an open field at about 4:30 p.m. on Saturday off Williford Road in Wilson County, according to authorities. Sgt. B.E. 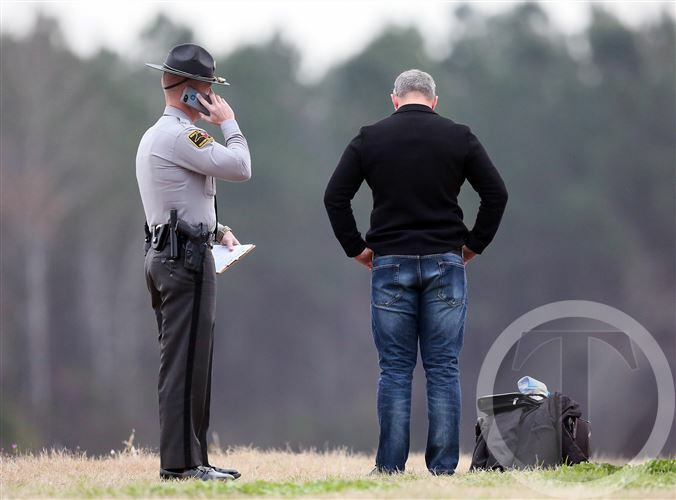 Pulliam of the N.C. Highway Patrol said Christopher Rowe, 50, of McLean, Va., suffered no injuries and was the only occupant in the plane. Pulliam said Rowe told authorities he was on his way from Fayetteville to Washington, D.C., when he noticed he suffered a loss of fuel pressure and had to make an emergency landing. 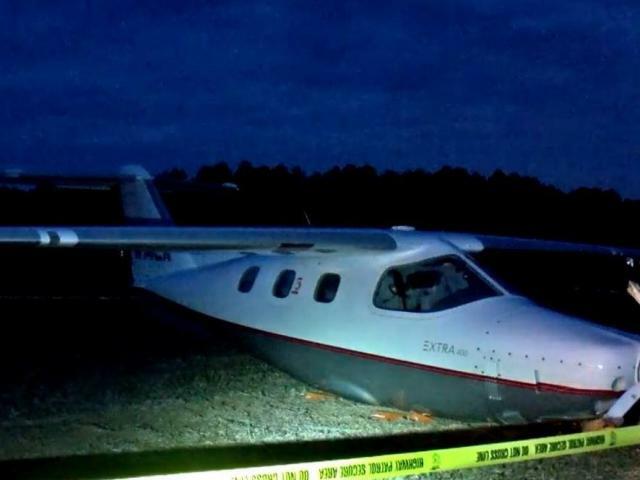 Pulliam said authorities placed tape around the plane, so the Federal Aviation Administration can conduct its own investigation. Pulliam said the plane should be removed by Monday. Rowe was treated on scene for precautionary reasons. 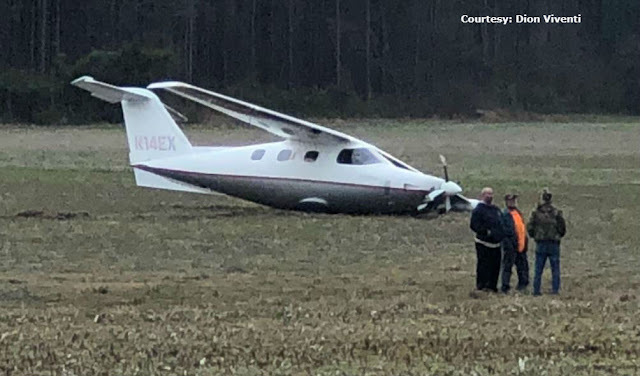 The crash happened about two miles from the Rocky Mount-Wilson Regional Airport, and the plane is expected to be towed to the airport for repairs, authorities said. In addition to the Highway Patrol, the other agencies on scene were the Wilson County Emergency Medical Services, Sharpsburg Fire Department Station 11 and Wilson County Sheriff’s Office. SHARPSBURG, N.C. (WNCN) — A pilot issued a mayday call as his plane was going down and later crashed in a field in Nash County on Saturday afternoon, officials said. 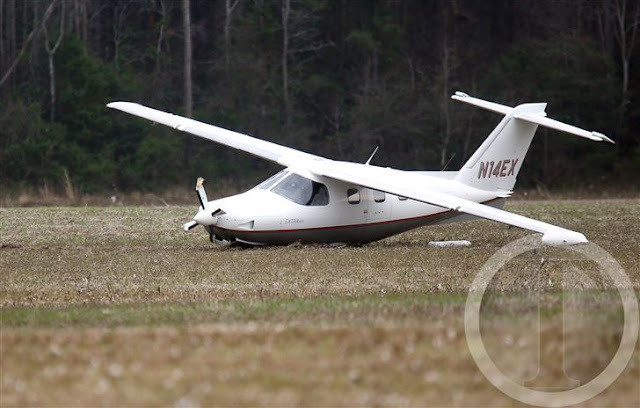 The incident happened around 4:45 p.m. in Sharpsburg, according to Rocky Mount–Wilson Regional Airport Director Dion Viventi. The plane had damage to the propeller and landing gear, Viventi said. No one was hurt. The single-engine plane was headed to the Rocky Mount-Wilson Regional Airport when the pilot put out a mayday and said that he could not make it, Viventi said. Viventi was able to contact the pilot by cellphone and receive the coordinates of the crashed plane, which he then relayed to EMS and rescue crews. 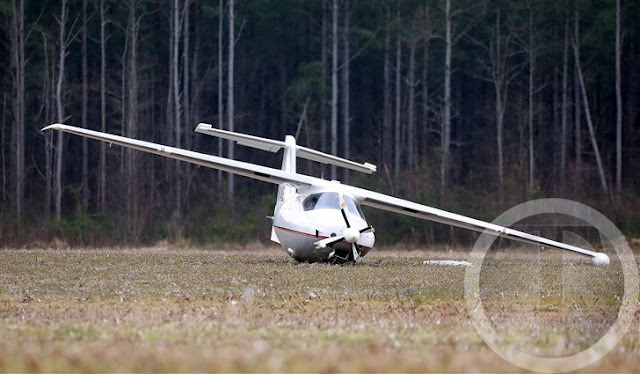 The plane is expected to be towed to the Rocky Mount–Wilson Regional Airport for repairs. There is no word on what caused the plane to go down. Followed their training and kept control. No one hurt. That bird can be fixed to fly again.